BassesByLeo • View topic - You never forget your first Wunkay…..
You never forget your first Wunkay….. I got my first Wunkay in 2002 or 2003 from a gentleman named Don Kane who lives up in the Bay Area (California). He had a roughed up maple/maple L-1000 he was selling, a 1982 iirc (smooth black bridge & cavity cover). I had been looking for them after reading about them online. I knew and loved some G&L mojo already: I had an ASAT I bought new in 1999 and a old L-2000 I got around 2002. Even so, I was Wunkay-curious. I bought it and then quickly bought two or three more. This was the first one…. Re: You never forget your first Wunkay…..
Just what I need. More GAS. Brad, that gold wun is nice!! Mr. Mom wrote: Just what I need. More GAS. It really is nice - the factory is making really amazing basses these days. I love the look and the #12 neck, and it's 8.25 lbs! I wish I could shave a pound off the red L-1005, it would be perfect too. I hear ya! My new 2014 tookay is wonderful. 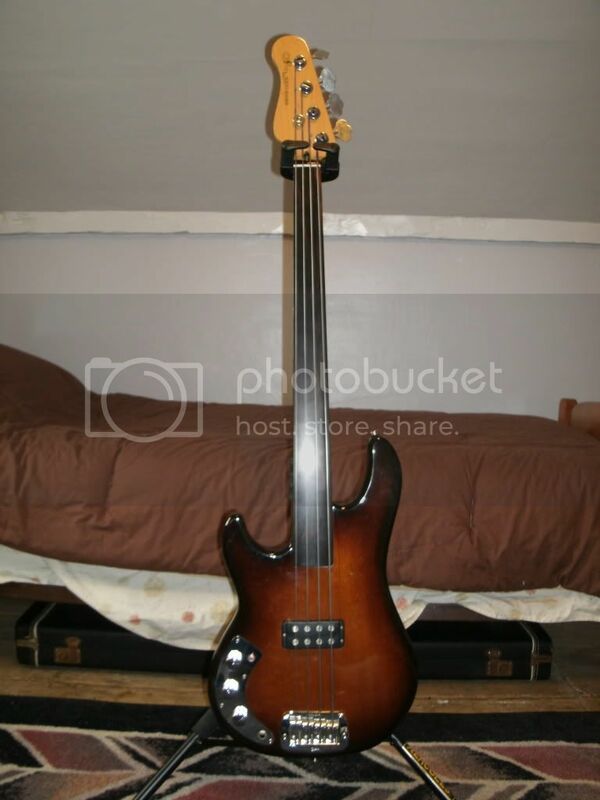 I've been considering a P bass. Like Mexi or something like that. I should just save my $$ and get punchy wunkay. But used light ones are hard to come by. I got my first L-1000 in 1990 after reading Richard Smith's article about G&L in the July 1990 issue of Guitar Player. Up to this point, I had been playing mainly P-style basses. When I saw this used, mint condition '85 L1K in a local music shop and I was amazed by the sound. It was a velvet hammer and I had to have it. 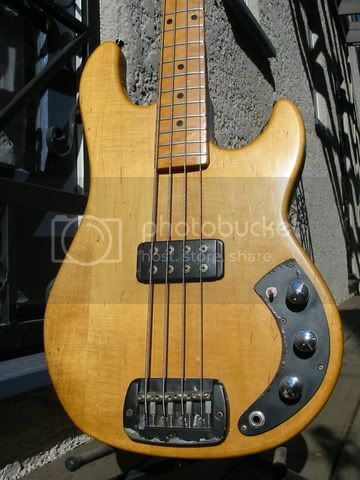 This is the bass that started my obsession with the L-1000. Sadly, I no longer own it (divorce is a terrible thing), but I still have the memories of it. It is also one of the last to be fitted with front-loaded controls before the change to rear-loaded controls in mid-1985. ggjaguar wrote: I got my first L-1000 in 1990 after reading Richard Smith's article about G&L in the July 1990 issue of Guitar Player. Up to this point, I had been playing mainly P-style basses. When I saw this used, mint condition '85 L1K in a local music shop and I was amazed by the sound. It was a velvet hammer and I had to have it. This is the bass that started my obsession with the L-1000. Thanks for all you've done to expand the knowledge base and for sharing it with the rest of us.